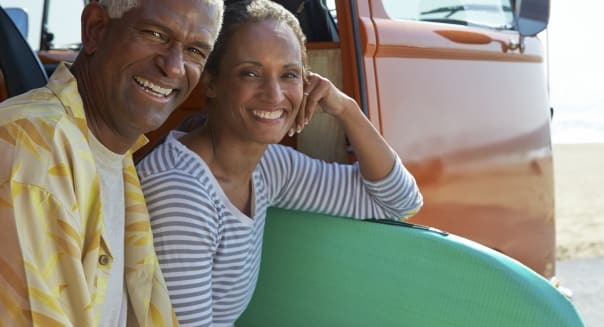 Deciding where to live after you retire requires balancing a host of difficult issues, ranging from wanting to be close to family and friends to seeking ideal locations for your interests. Increasingly, though, financial issues have come to the forefront in the retirement-living decision, and states looking to attract retirees offer financial incentives that smart retirees can take advantage of. One of the biggest concerns that retirees have is making their money go as far as possible without getting eaten away by taxes. Let's look at five of the smart tax benefits that the best states give retirees to lure them to move there. After a lifetime of amassing their nest eggs, retirees typically spend more than they get in income. As a result, sales taxes have a disproportionately large impact on retirees. Therefore states that have low sales taxes make it easier for their residents to spend more freely. Five states have no state sales tax: Alaska, Delaware, Montana, New Hampshire and Oregon. But even in states with a sales tax, different rules apply about what purchases are subject to tax. In most states, food isn't subject to sales tax. Many states also exempt necessities like prescription drugs, hearing aids and dental prosthetics from tax. What you spend money on will define how big an impact sales taxes will have on your overall expenditures. States with no income tax typically get the most attention from retirees, even though income typically falls dramatically during retirement. Popular retirement destinations Florida and Texas are just two of seven states with no income taxes at all, while two more -- Tennessee and New Hampshire -- impose tax only on income (such as interest and dividends) from investments. Income tax is most important if you have substantial investment income or plan to draw money from tax-deferred accounts, including IRAs or employer-sponsored retirement plans like 401(k)s. For those with more limited incomes, state income taxes usually don't play as vital a role in a financial retirement decision. Going hand in hand with the income-tax discussion is whether a state provides income-tax exemptions for retirement-related income. Pennsylvania and Mississippi don't impose state income taxes on Social Security or retirement-related income from any source, including both pensions and distributions from IRAs or 401(k) plans. Some other states, such as New York and Massachusetts, exempt government or military pensions but not private-sector payouts. If you get most of your income from these sources, then income-tax exemptions open up additional living options beyond just those states that have no income tax on any of their residents. You just need to be sure that your particular income qualifies for the exemption. If you intend to buy a home where you retire, then it's essential to consider property taxes. Given how many retirees end up house-rich but cash-poor, coming up with money to pay high property taxes can be extremely difficult. Some states with low sales and income taxes often make up the difference with high property taxes. New Hampshire, for instance, collects the fourth most property-tax revenue in the nation, with taxes of $2,463 according to figures from the Tax Foundation. On the other hand, most states offer property tax exemptions or breaks targeted to retirees and other elderly homeowners. For instance, in Nevada, those over age 62 under certain income limits can get rebates of up to 90 percent of their property taxes. One issue many people neglect to consider is the impact on their families of dying in a certain state. Even if you don't have the more than $5 million in assets necessary to trigger federal estate tax, many states impose estate taxes on smaller amounts, and others have inheritance taxes that force family members in some cases to pay taxes on what they receive after your death. New Jersey is a particularly egregious example of these taxes. The state imposes inheritance taxes of 11 percent to 16 percent on property passing to those other than spouses, descendants, parents or grandparents or charities. Moreover, estate taxes of up to 16 percent apply to estates of $675,000 or larger, although inheritance taxes are credited against the estate tax to avoid double taxation. With so many financial issues to consider, it can be hard to compare the total tax cost of living in one state versus another. The key, though, is to understand all the potential tax pitfalls, so that you can at least make a good-faith guess about how your finances will play into your decision on where to live when you retire. You can follow Motley Fool contributor Dan Caplinger on Twitter @DanCaplinger or on Google Plus. The original California capital has come a long way from its farm town origins. Today, San Jose is the center of Silicon Valley. And the area, including Sunnyvale and Santa Clara, is home to some of the world's biggest tech companies, including Apple, Hewlett-Packard, Intel and Google. Such employers tend to reward their geeks handsomely. Google even keeps its interns well-heeled, paying those specializing in software engineering an average $6,432 a month, according to employment research firm Glassdoor. The hefty paychecks can help cover housing costs — the San Jose area's median home value is the highest on this list, and a whopping 20.8% of houses are worth $1 million or more, compared with just 2.3% of all U.S. homes. The nation's seat of power is topped with a plump cash cushion. The D.C. area is home to the greatest number of millionaire households on this list and ranks fourth overall behind New York, Los Angeles and Chicago. In D.C. proper, you can find many moneyed residents, including high-profile politicians, lobbyists and contractors, living in the townhouses of Georgetown and Capitol Hill. Outside the District, millionaires can enjoy the suburban life in Arlington, Va.; Bethesda, Md. ; and other well-off neighborhoods. Beautiful beaches and top-drawer retailers lay out the welcome mat for thousands of millionaires, as well as leisure travelers, who flock south for the warmth of the Gulf Coast. Shoppers seeking upscale styles have many options, including Cartier, Gucci and Louis Vuitton, at the open-air Waterside Shops. And golfers have just as many choices when it comes to links – there are more than 90 golf courses nearby. Another kind of green that may interest people in the area: eco-tourism. You can get a glimpse of the local wildlife a short drive away at Everglades National Park and Ten Thousand Islands. While real estate in the area tends to become more affordable as you move inland, the median value of homes in prime coastal locales such as Pelican Bay and the City of Naples is about $800,000. The southwest coast of Connecticut, stretching from Bridgeport to the border with New York, provides a perfect (and preppy) suburban base for high-powered commuters, many of whom work and play in nearby Manhattan. Nearly 34,000 residents, or 8.1% of the local labor force, are employed in management positions, earning about $68 per hour on average. And 16.7% of households report an annual income of $200,000 or more; only 4.5% of the country's households pull in that much each year. Those high paychecks can help cover the area's high costs. Stamford proper is one of America's most expensive big cities, and typical homes in small affluent towns such as Greenwich and Darien go for $1 million. This tiny New Mexico town has the smallest population, as well as the highest concentration of millionaires, on this list. Chalk up the density of affluence to the National Laboratory, a research facility focused on national security and the county's largest employer. Since the lab was established in 1943 as site Y of the Manhattan Project, it has drawn some of the world's top scientific minds with state-of-the-art facilities, currently including more than 1,200 buildings on a 36-square-mile campus, and generous paychecks. In fact, the area's six-figure median household income is the highest on this list. And relatively low living costs — just 2.9% above the U.S. average — will help wealthy residents hold on to their fortunes.